The Cherokee Platform is a prolific producing region that spans an area of approximately 26,500 square miles, extending from southeastern Kansas and part of southwestern Missouri to northeastern Oklahoma. Exploration began in the 1860s, and the first discovery was in Allen County, Kansas, in 1873. Since then there have been over 200,000 wells drilled, and 431 fields larger than 1 MMBOE and having multiple pay zones have been discovered. The plays were erected for the Cherokee Platform primarily by grouping the reservoir rocks by age. The various reservoirs and prospects are in Pre-Woodford Paleozoic Play, except for those significantly below the top of the Arbuckle Group. Discovered by the “King of the Wildcatters”, Thomas Baker Slick Sr., and unitized by John D. Rockefeller’s Sohio Petroleum Company in 1958, the Slick Unit Dutcher Sands oil field has been producing since 1918. With nearly 100 years of production, this field has proven to be a worthy asset for our company. Producing from over 500 wells, the field’s primary production peaked in 1923. At that time it had over 17,000 barrels of oil being produced per day (bopd). 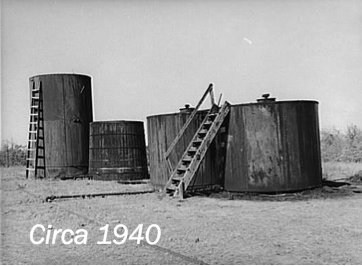 The majority of those wells were abandoned by 1930; several of the wells are still in production today. When Sohio unitized the field in 1958, they developed the first comprehensive reserve report for the field and produced over 7.6 million barrels in secondary production. In 1985, Sohio Petroleum Company, an exploration and production subsidiary of Standard Oil was forced to restructure and in 1986, they decided to sell off the field to Oklahoma Natural Resources in 1986. Since then, the field has had a series of operators with Petrolia taking over operations in 2014.